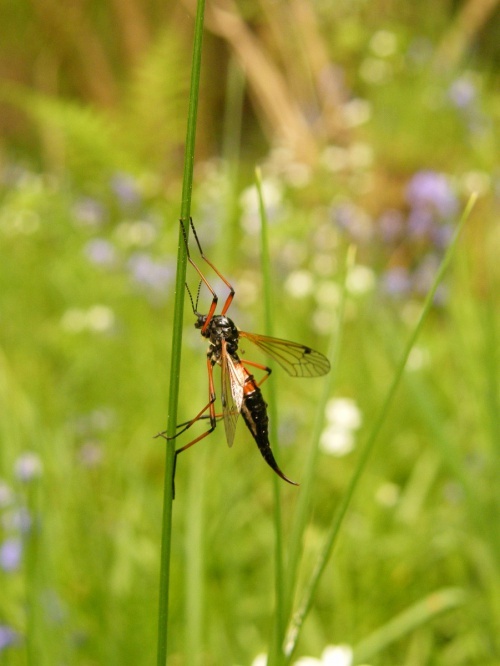 A handsome cranefly with a black and red-orange abdomen. Most likely to be seen in May or June. The larvae feed on dead wood. Quite rare in Britain. This species is classed as Red Data Book 3. Records are centred in the Yorkshire and Lancashire areas of the UK, but Tanyptera nigricornis does occur in some southern counties and there are records for Scotland. Rare in Leicestershire and Rutland where there are very few records.